Preheat oven to 375 degrees. Place salmon in a baking dish. Spread each peace of salmon with 1 Tbsp. 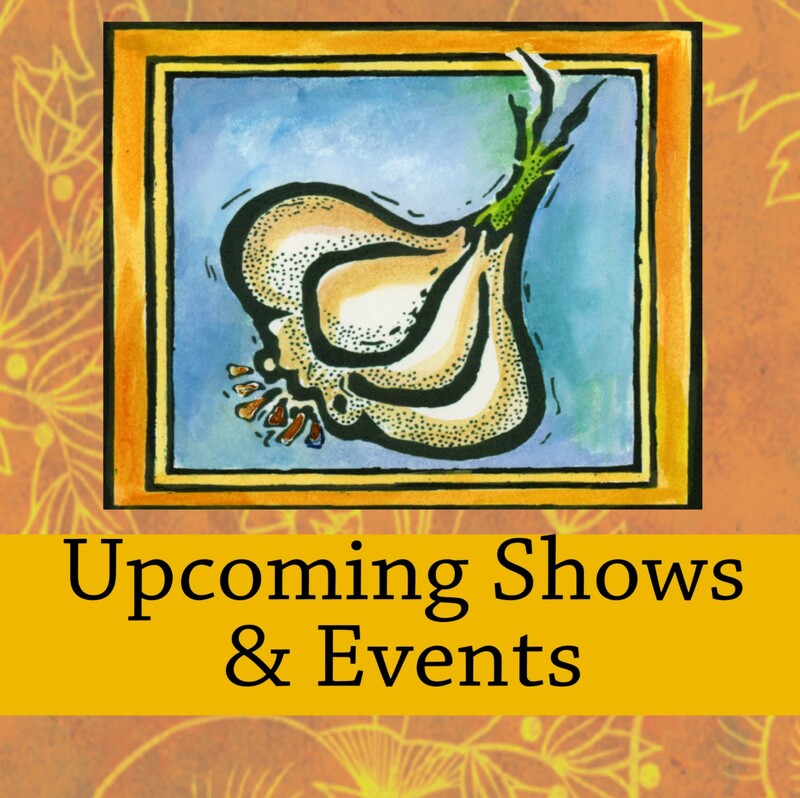 of Garlic Festival Dill & Garic Mustard. 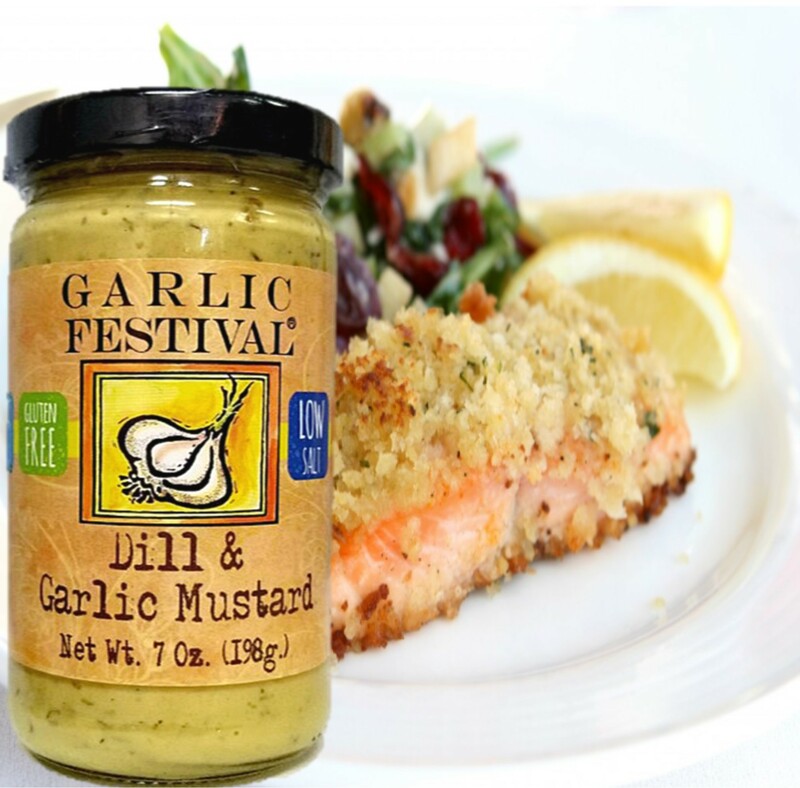 Moisten bread crumbs with Garlic Festival Garlic Oil (use more bread crumbs if you like a thicker coating) and coat salmon.. Bake approx. 20 minutes. If you like a the coating extra crispy, turn the broiler on for the last minute or two of cooking but be sure to keep your eye on it!! We like to serve with a good rice and asparagus spears drizzed with Garlic Festival Foods Garlic & Parmesan Olive Oil.....Yum!